Advanced Insulation Systems Ltd will save you money on heating and cooling through solutions for energy efficiency. 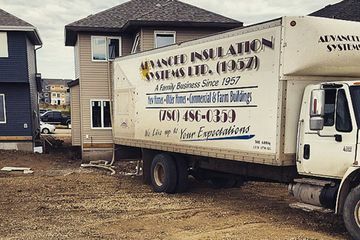 Simply put, you can trust Advanced Insulation Systems Ltd to save you money on heating and cooling through solutions for energy efficiency in Edmonton. 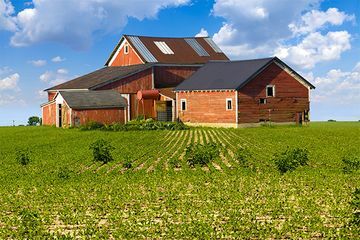 We provide eco-friendly insulation for homes, businesses, and agricultural applications in order to make your building more comfortable. We supply and install several types of insulation for both retrofits on older homes as well as new construction. Our experience means we will always install the proper product in your building to maximize efficiency. Our business leans strongly towards the upgrading of older homes. Homes built in the 1940s through the 1970s may not have the proper insulation and we can help these homeowners save on energy costs in the future. All work is performed in-house, which means that our standards for excellence and efficiency are always met. Because we are in charge of your project, we know exactly what is being performed at all times. We guarantee that all our work is started and completed by our own staff of professionals. There’s never any middleman or run-around. If you are ready to get energy efficient, contact us today for a free estimate. 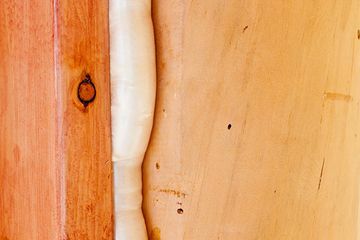 From blown cellulose to polyurethane spray foam, we have the right insulation products to suit your need. Save up to 50% on your heating and cooling costs with new, energy efficient insulation. Family-owned and operated, and serving Edmontonians for three generations. Government grants and rebates for January 1st, 2017 – inquire about possible grants to save you money. We keep up on the latest grants available, so please ask us!